During my PhD thesis, I studied the interaction between grazing disturbance and spatio-temporal resource availability in the composition and functional structure of grassland communities at different spatial scales. I was a Marie Curie Fellow in the University of South Bohemia, working in Jan Lepš’ lab, where I was mostly focused on incorporating within-species trait variability into trait-based approaches, combining the development of analytical tools with experimental approaches. Currently, I am a member of the Macroecology workgroup of Prof. Pärtel, where I try to link functional traits with dark diversity concepts using a probabilistic framework. P Szefer, CP Carmona, K Chmel, M Konečná, M Libra, K Molem, V Novotný, ST Segar, E Švamberková, T-S Topliceanu, J Lepš (in press) Determinants of litter decomposition rates in a tropical forest: functional traits, phylogeny and ecological succession. Oikos. F de Bello, P Smilauer, J Diniz-Filho, CP Carmona, Z Lososova, T Herben, L Götzenberger (in press) Decoupling phylogenetic and functional diversity to reveal hidden signals in community assembly. Methods in Ecology and Evolution. CP Carmona, F de Bello, NWH Mason, J Lepš (2016) The density awakens: a reply to Blonder. Trends in Ecology and Evolution, 31, 667-669. CP Carmona, I Guerrero, MB. Morales, JJ. 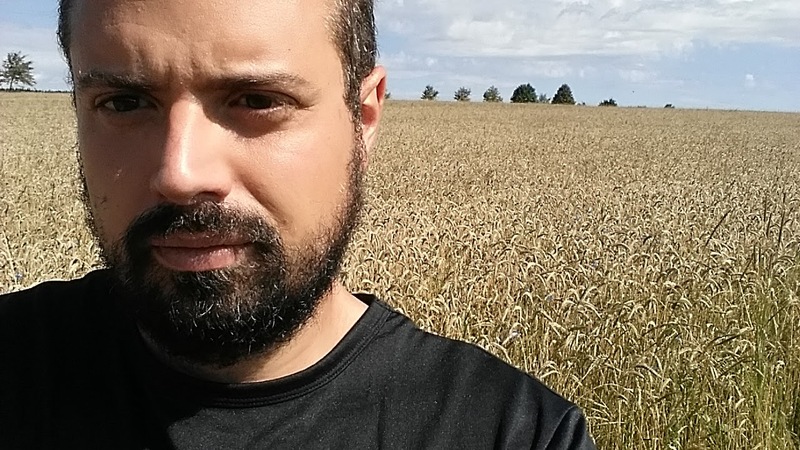 Oñate, B Peco (2016). Assessing vulnerability of functional diversity to species loss: a case study in Mediterranean agricultural systems. Functional Ecology, in press. DOI: 10.1111/1365-2435.12709. F de Bello, CP Carmona, J Lepš, R Szava-Kovats & M Pärtel (2016) Functional diversity through the mean trait dissimilarity: resolving shortcomings with existing paradigms and algorithms. Oecologia, in press. Hevia, V., CP Carmona, Azcarate, F., Torralba, M., Alcorlo, P., Ariño, R., Lozano, J., Castro, S. & González, J.A. (2016) Effects of land use on taxonomic and functional diversity: a cross-taxon analysis in a Mediterranean landscape. Oecologia, in press. CP Carmona, E Navarro & B Peco. 2016. Fungal-mediated mortality explains the different effects of dung leachates on the germination response of grazing increaser and decreaser species. Acta Oecologica 70, 74-78. J Traba, MB Morales, CP Carmona, MP Delgado (2015). Resource partitioning and niche segregation in a steppe bird assemblage. Community Ecology 16, 178-188. CP Carmona, C Rota, FM Azcárate & B Peco (2015). More for less: sampling strategies of plant functional traits across local environmental gradients. Functional Ecology 29, 579–588. CP Carmona, NWH Mason, FM Azcárate & B Peco. (2015). Interannual fluctuations in rainfall shift the functional structure of Mediterranean grasslands across gradients of productivity and disturbance. Journal of Vegetation Science 26, 538–551. I Guerrero, CP Carmona, MB. Morales, JJ. Oñate, B Peco. 2014. Non-linear responses of functional diversity and redundancy to agricultural intensification at the field scale in Mediterranean arable plant communities. Agriculture, Ecosystems & Environment 195, 36-43. CP Carmona. 2014. Efectos de la intensificación y el abandono ganaderos en la composición, diversidad y funcionamiento de pastizales mediterráneos. Ecosistemas 23(1):73-78. I Dobarro, CP Carmona & B Peco. 2013. Dissecting the effects of simulate cattle activities on floristic composition and functional traits in Mediterranean grasslands. PLoS ONE 0079822. F de Bello, CP Carmona, NWH Mason, MT Sebastia, J Lepš. 2013. Which trait dissimilarity for functional diversity: trait means or trait overlap? Journal of Vegetation Science, 24, 807-819. CP Carmona, FM Azcárate, B Peco. 2013. Does cattle dung cause differences between grazing increaser and decreaser germination response? Acta Oecologica 47, 1-7. CP Carmona, A Röder, FM Azcárate, B Peco. 2013. Grazing management or physiography? Factors controlling vegetation recovery in Mediterranean grasslands. Ecological Modelling 251, 73-84. CP Carmona, FM Azcárate, E Oteros-Rozas, JA González, B Peco. 2013. Assessing the effects of seasonal grazing on holm oak regeneration: Implications for the conservation of Mediterranean dehesas. Biological Conservation 159, 240-247. B Peco, CP Carmona, I de Pablos, FM Azcárate. 2012. Effects of grazing abandonment on functional and taxonomic diversity of Mediterranean grasslands. Agriculture, Ecosystems & Environment 152, 27-32. CP Carmona, FM Azcárate, F Bello, HS Ollero, J Lepš, B Peco. 2012. Taxonomical and functional diversity turnover in Mediterranean grasslands: interactions between grazing, habitat type and rainfall. Journal of Applied Ecology 49 (5), 1084-1093.